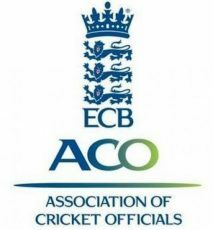 As you are probably aware, ECB ACO has introduced a new suite of Education Courses for the 2017/18 training season. The Stage One and Stage Two courses for new umpires have been well publicised, but I would like to make you aware of the new Stage Three Course. One of the themes behind the new suite of courses is ‘Education for all, Accreditation for those who want it’. The reason for this is to make the Education Courses available to anyone, not just those who have ambitions to progress up a pathway to the higher echelons of the game whilst, at the same time, having a separate accreditation process in place for those who wish to progress. The Stage Three Course is open to anyone who has taken a minimum of the old Level 1 and Level 1A Courses (or their equivalent under ACU&S) and is concerned with sharing ideas about improving aspects of umpiring. Anyone who has done Level 1A in the past few years and wishes to progress their qualifications needs to do this course and follow the accreditation process associated with it. However, any of you can simply do the course, if you wish, to, hopefully, make you a better umpire. Even if you have done Level 2 recently, you will, hopefully, still find parts of this course useful. It is a 2-day course and will, probably, be run over successive weekends (Saturdays or Sundays). The cost is £30 (participants applying for the accreditation process will have to pay extra) which includes materials and lunch on both days. I would like an idea of how many people would be interested in this course so that I can organise courses to suit that demand. Ideally, I would like to put on a course in each of Leeds, York and Sheffield if there is sufficient demand. If demand is limited there will be just the one course, probably in Leeds.